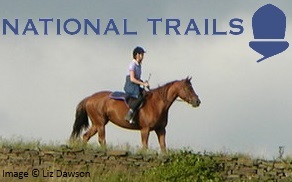 Early in 2014, exeGesIS was asked by Natural England to assist in carrying out a baseline survey for the Pennine Bridleway National Trail, the only National Trail designed primarily for equestrian use. The Trail is 330 km long, covering upland terrain through the Pennines, the Dales and the Lake District. Opened in 2012, the Pennine Bridleway was already a popular, if sometimes challenging route for horse riders, cyclists and walkers. Natural England asked exeGesIS to assist in developing the methodology for the baseline survey, which could then be applied in subsequent years to monitor the condition of the Trail. While Natural England's own surveyors carried out the fieldwork, exeGesIS provided the survey equipment and technical support to the surveyors during the six-week survey period. The survey produced an inventory of all the assets on the Bridleway, from larger structures like bridges, through to gates, signs and smaller items like water troughs and mounting blocks. Any problems or issues on the trail were recorded, and GPS tracking functionality was used to produce a corrected and updated line of the route. After these data had been collected, exeGesIS produced a corrected map layer of the Trail and analysed and reported on the data collected. The data, including photographs, were loaded into the exeGesIS CAMS software to allow further analysis. Further information from Timothy Derbyshire.